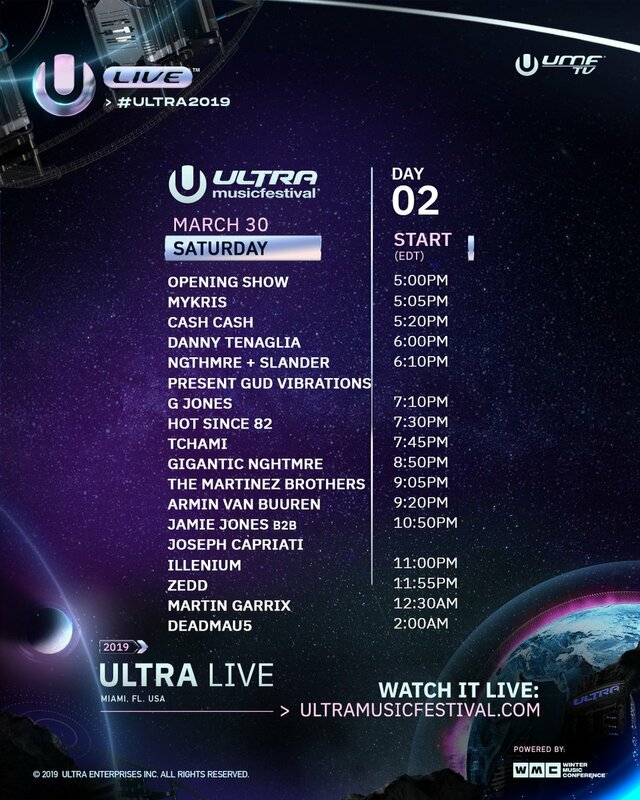 Watch Deadmau5, Martin Garrix, Armin Van Buuren and many more on tonight's Ultra live stream on Youtube! It’s that time of the year again where thousands of EDM fans from around the world go to Miami to party while hundreds of thousands more watch it all live on Youtube. Tonight is day 2 of the Ultra Music Festival in Miami, and the live stream is completely stacked as Deadmau5, Martin Garrix, Zedd, Tchami, and Armin are all set to perform. Check out the schedule below (All times in EST) and enjoy!